Canonical sets the Biggest ever Crowdsourcing Target for its Dualbooting Superphone, 3.2 Million Raised Already! So Ubuntu Edge it is. That's what the countdown on Ubuntu home page just a week ago was all about. Ubuntu Edge is Canonical's own superphone, with the kind of specs that can make any tech enthusiast drool. But Canonical is approaching this differently. Ubuntu Edge will be produced in limited numbers only and the entire process will be made viable through crowdfunding. And not just any crowdfunding, the biggest of its kind ever seen! Canonical Intends to Raise US$ 32 Million via Crowdsourcing! Mark Shuttleworth makes it very clear. Canonical has no intention to get into mobile phone business. 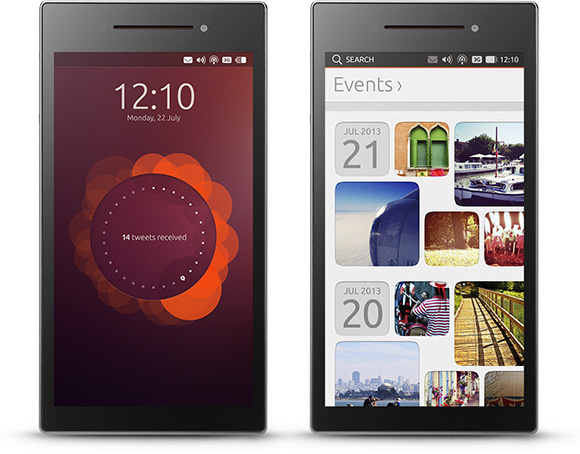 And Ubuntu Touch based phones will arrive in early 2014. Ubuntu Edge is more like a proof of concept, Canonical's own Nexus Phone, which will push the boundaries on smartphone technology. For Ubuntu Edge to become a reality, Canonical intends to raise 32 million US dollars via crowdfunding. And in the first day itself, some 3.2 Million USD is already raised! Even then, 32 million in 30 days is a tough ask. If the campaign becomes successful, it will become the biggest ever crowdfunding success story of all time. If you think Ubuntu Edge is an insanely brilliant idea, go ahead and pledge support for the project at Ubuntu Edge Indiegogo campaign page. Keep in mind that, Ubuntu Edge will be produced in limited numbers and only the backers of the campaign will ever lay hands on one. Good luck to Canonical and Ubuntu. And thanks for reading.